Last time we were discussing Rock Crystal as a spiritual birthstone of Leo. Now, we are going to elaborate on the Zodiac sign of Libra, and Tourmaline as its birthstone. During the time of Libra, from 23.09. to 22.10., our planet is exposed to the magnificent outpourings of the Light Temple of Liberty. Certain crystals and stones are favorites of this Temple. Above all, Tourmaline is specially susceptible to the powers of the Temple of Liberty. Therefore, people born in the astrological sign of Libra should choose Tourmaline as their stone. Tourmaline is their personal crystal, their birthstone. The ancient people of Lemuria revered Libra as Goddess of deliverance. People looked to her, hoping to atone for their karmic sins of the past, especially when related to abuses of masculine, yang energies. Libra aligns and balances the large planetary fields of polar opposites and enables realization of Divine perfection, redemption and growth of life. Only when we are close to the Divine we can find ourselves in true balance. Only when we live our life according to God’s principles we attain true harmony. Libra is a sign of balance, of careful weighing our values and achievements. Libra knows how to balance the opposites. It is a narrow edge that extends between the pairs of opposites. It requires proper development of our sense of value, as well as enough power to use the analytic functions of the mind. For Libra, mental reflection, balancing and decision making are skills that have to be learned. Venus governs over Libra when it comes to the orthodox astrology. The characteristics of Venus in this sign are equilibrium and justice. 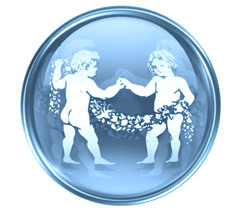 Libra is a sign of cosmic reciprocity, of cooperation rather than competition, of partnership and association. The point of balance should be put between the tangible personal desires and the intelligent spiritual love. Venus is also a symbol of creative imagination. The spiritual ruler of Libra is Uranus, whereas the hierarchical ruler is Saturn, a planet of discipline. Libra’s positive nature can be an example of good diplomacy and charm. Libra loves peace; so people born in this sign are casual and social. On the negative side, they can be indecisive, changeable, impatient and timid. They love beauty, harmony and art, their nature is gentle and good. They can be casual to the point of upsetting people, but also surprisingly vigorous in areas that moves them deeply. They usually don’t like the rough, dirty work and will find someone else to perform it if necessary. 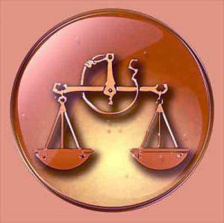 Libra is endowed with strong perception of justice and fair play. With their analytical skills they can be objective and impartial. They will do everything it takes to maintain a friendship. Libra possesses a natural charm, intuition and social skills. Seeking to create a harmonious interpersonal relationship, they will use their potential to work for the well-being of the world. Since Libra is an air sign, deep breathing has a very important role in improving their thinking process. Tourmaline helps Libra in overcoming the limited ways of thinking and grasping the lofty concepts of reality. This birthstone of Libra can remind us that we are all light-beings, only currently in physical form, and that we can easily get in contact with both the physical and spiritual worlds around us. Looking at life this way, we can get a much better picture of our purpose of existence. Tourmaline occurs in virtually all colors. It can be two-colored or multicolored, very rarely it is colorless, and always possesses a glassy shine. Tourmaline is associated with all energy centers – chakras. All types of tourmaline will open, clean, energize, balance and align these energy centers. Tourmaline cleanses and charges the electromagnetic system of the human body. The energy of Tourmaline is very powerful. This birthstone assists Libra to neutralize the energy blockages caused by stress and confusion. It brings peace and clarity. 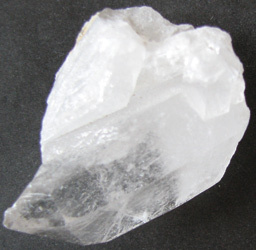 A great healing and relaxing technique is watching and rubbing the parallel ridges along the crystal ten to fifteen minutes a day. Tourmaline strengthens our nervous system, which is of unusual importance for a healthy organism. It also strengthens the heart, and regulates the blood flow.. The different colors of tourmaline bring their own specific additional features. Black tou rmaline is a stone of protection. It repels negative energy, whether it’s outer energy or inner emotional energy, such as anger, resentment, envy, or jealousy. It and relieve stress, and transforms negative energy into positive. Verdelite tourmaline is green and can be fully transparent. It is a captivating gemstone, much like emerald. Verdelite is an excellent healer at all levels. It purifies and strengthens the nervous system, allowing the subtle energies to flow smoothly. Verdelite relieves chronic fatigue, encourages creativity, and attracts abundance. Rubellite tourmaline (October birthstone) is pale pink to deep red. Rubellite, along with rose quartz and kunzite is a stone of the heart. Watermelon tourmaline is a combination of green and pink tourmaline. It heals the heart and soothes the emotional wounds, allowing increased flow of energy and attracting love. Indicolite tourmaline opens the third eye, enhances psychic abilities and improves visualization. All tourmalines together, build up one big and important crystal family with spectacular appearance and significant metaphysical properties for the soul and the body. Choose your own birthstone and carry it always with you. Love and respect your crystal and always enjoy its company. Apart from tourmaline, people born in the sign of Libra may find interesting the following stones: Howlite, Sapphire (September birthstone), Ametrine, Jade and Amethyst.